Adding a location to Shopventory is easily done from the Locations and Integrations tab in the 'Settings' section of Shopventory. A Shopventory location is a separate pool of inventory. The sales and updates at one location will NOT update inventory at another location. All you have to do is click the "Add a location" button at the top of the page. 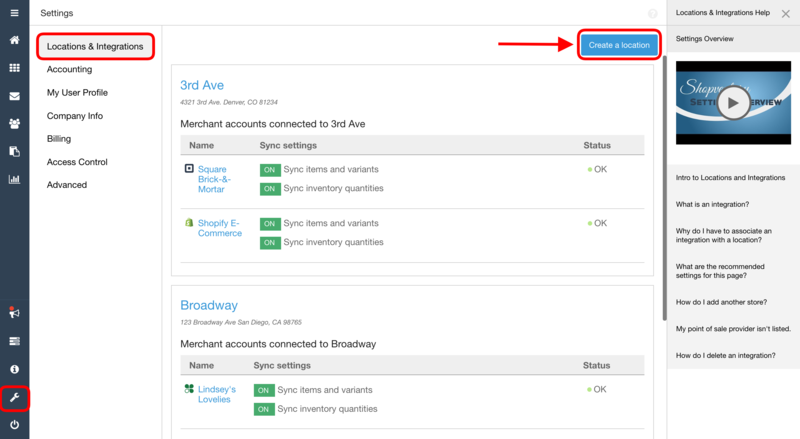 Connect a merchant account integration (Clover, Shopify, etc.) and import the inventory info into Shopventory from the integration. Create new products in Shopventory at that location. Clone the inventory information from an existing Shopventory location. Different steps are required depending on how you're trying to set up your new location. 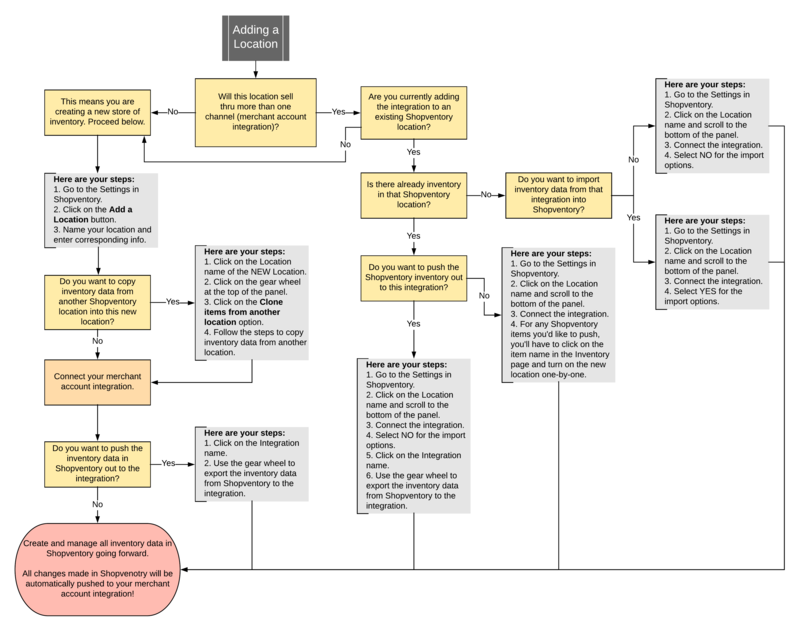 We recommend taking a look at the flow chart below to figure out the best course of action for you.